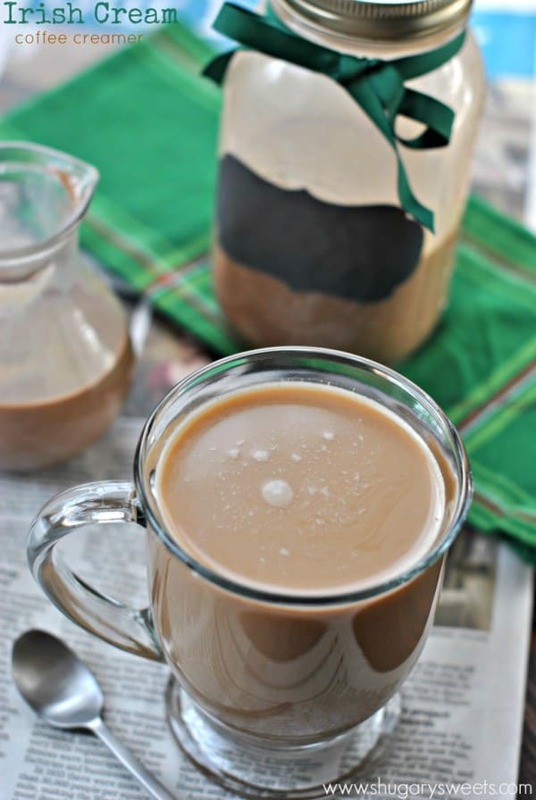 When you can’t make it to the grocery store, homemade coffee creamer to the rescue! 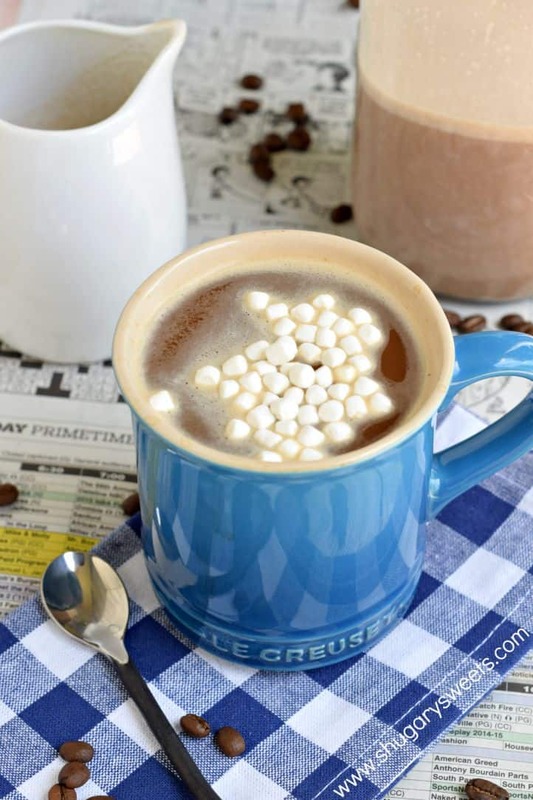 This Chocolate Marshmallow Coffee Creamer tastes like hot cocoa! Hi again. Are you sick of me now? That’s what my husband and I say on the phone to each other when we repeatedly call to say “one more thing.” For instance, if he’s at the grocery store…and I tell him what I need. Then I text him a dozen more things. Then I call with a couple more. Whoops. So I guess it’s only fitting I ask that of you today. Are you sick of me now? Are you tired of my homemade coffee creamer recipes? I sure hope not, because I LOVE coffee creamer. And when I forget to pick some up at the grocery store (or fear adding “one more thing” to hubby’s list)…I can make a batch quickly at home in my kitchen. Making coffee creamers only takes a few simple ingredients. Possibly ones that you already have on hand! Coffee creamer used to last longer in my house, until my kids have decided they like adding it to their hot cocoa. And I love adding it to my iced coffee! Today’s recipe was going to be a “S’mores” creamer…but I couldn’t figure out how to get grahams in it, haha! So, without grahams it’s more of a hot cocoa coffee creamer. You could warm this up and guzzle like cocoa (not that I have done that or anything…). If you’re a coffee drinker…how do you take yours? Black? With cream? Sugar? Everything? Let me know know if you’ve tried any homemade coffee creamers!! 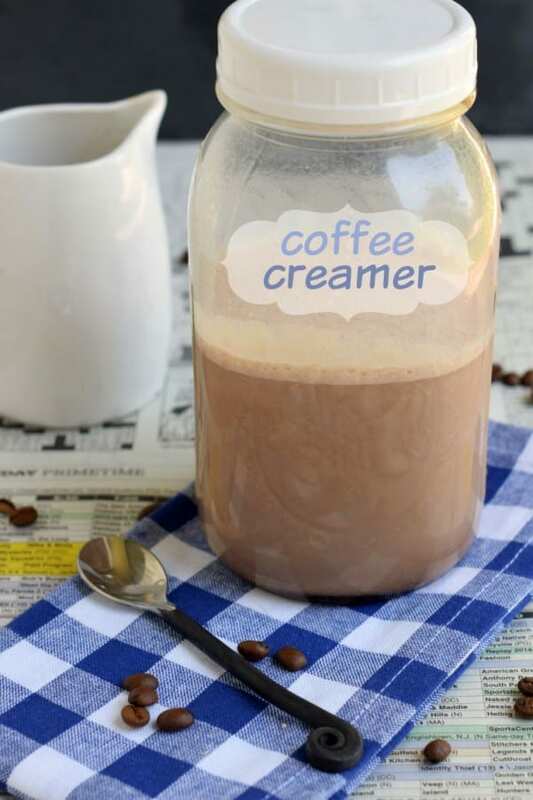 Homemade coffee creamer is easy with 4 simple ingredients. 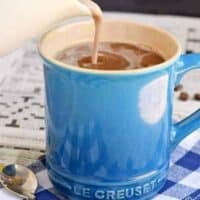 Chocolate Marshmallow Coffee Creamer recipe! In a small saucepan, combine the four ingredients. Heat over low, stirring constantly until mixture is smooth and combined (about 3-5 minutes. 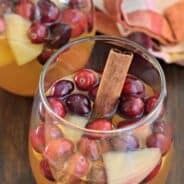 Pour into a pint sized mason jar with lid and refrigerate until ready to use. Shake before pouring into coffee. To determine your "use by" date...go off the date of the milk you use for this recipe. 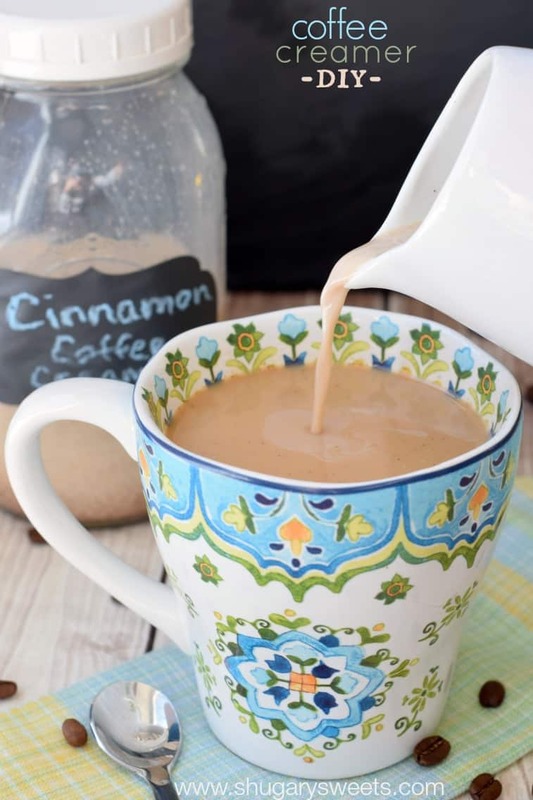 Cinnamon Coffee Creamer: a delicious, tasty creamer recipe! 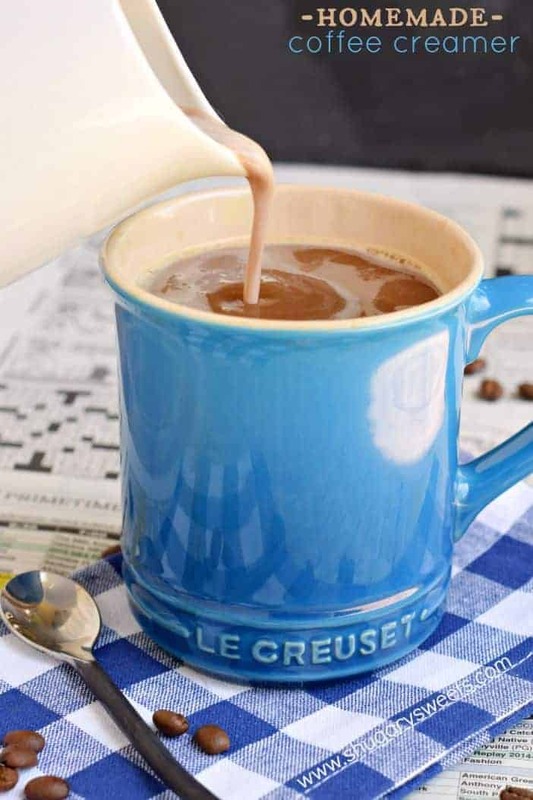 French Vanilla Coffee Creamer: a classic! 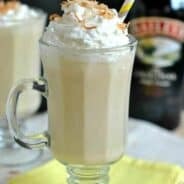 Irish Cream Coffee Creamer: non alcoholic, but tastes amazing! I love creamer in my coffee. Never knew how easy it was to make. Yum! Oh man. I can’t tell you how much I want a big cup of joe with this in it! And nope, keep bringing these homemade coffee creamers! So much healthier! Not a coffee drinker unfortunately, but, what? You can make your own creamer?! Amazing! Maybe the non coffee drinkers can drink it as it? I used to be a coffee drinker but I haven’t been drinking it as much. I’ve been drinking a lot of hot tea! However, I do still love coffee. This creamer is perfect! I was just thinking, make coffee with this creamer, top with whipped cream and graham crackers BOOM! S’mores coffee. 🙂 Great recipe, Aimee! 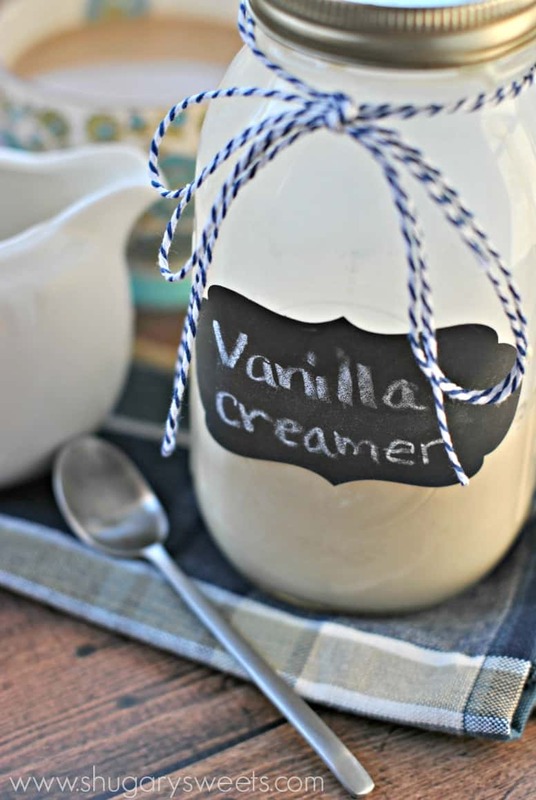 I would have never thought to make a homemade coffee creamer! I love it! This creamer made me think of hot chocolate, just because of the whole marshmallow thing. It would be fantastic in coffee! Oooh, could even add a shot of chocolate to the coffee. That’s how I do! haha, sorry sorry sorry. <-----YES!!! I LOVE your coffee creamers! Keep them coming! 🙂 This looks absolutely scrumptious! I have totally sent a billion texts of things to get at the grocery store to Jeremy. He loves it when I do that. LOL! 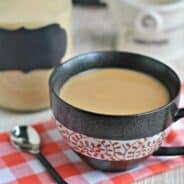 I can’t drink black coffee, so I absolutely love all your creamer recipes. Especially one that tastes like hot cocoa! Yum!!! Home made coffee creamer sounds like a good idea. Yumm!! I have made your cookie creamer, its yummy!!! Coffee with cream. Just love this combination. Going to try this out. ok I’m done ??? ?with not being able to reply here bcz I love these comments???? love the idea of making my own coffee cream! who knew? Thanks for this receipe ! I recently went home to visit for Christmas and BAM..in my cousins refrigerator was Coffee-Mates Marshmallow Hot Cocoa coffee creamer ? There is a god and now I know it’s a woman ! Lol. Of course I’ve checed every Walmart in my area but I guess since Christmas is over, so is the creamer. Don’t these people know we have 3 more months of WINTER ❄️ ? I did find 4 on the shelf at a Walmart 2 hours away…then I found your site. Thank you. Thank you. Going to try and make this today ! ENJOY. Hope you love it!